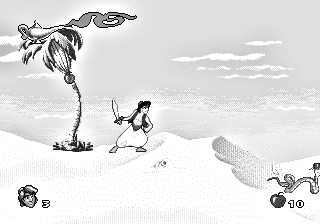 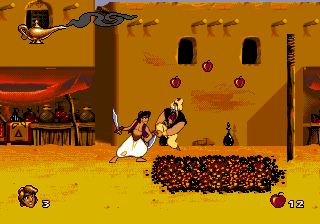 A platformer based on the Disney Aladdin film. 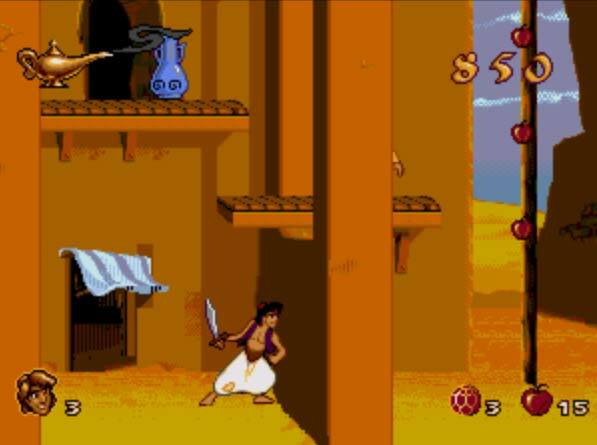 The main levels are based on movie locations, and bonus rounds feature the Genie and the monkey. 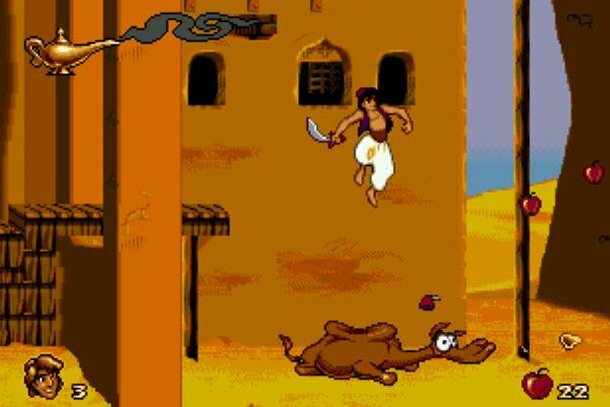 Aladdin is a 2D side scrolling action platformer where players control Aladdin as he ventures through areas based on the famous Disney movie. 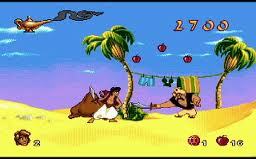 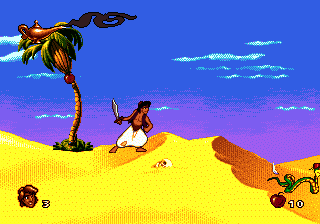 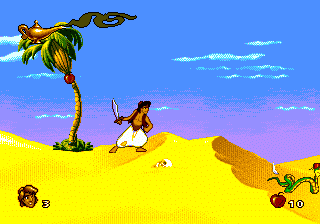 The gameplay is fairly standard as Aladdin jumps over obstacles, climbs ropes, and uses his scimitar or throws apples to defeat enemies. 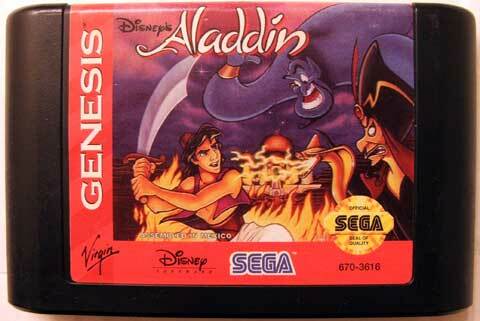 The Sega Genesis version was made by Virgin while the Super Nintendo version is made by Capcom. 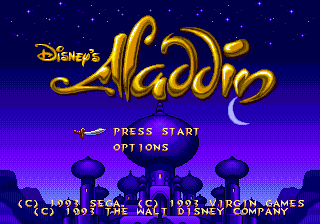 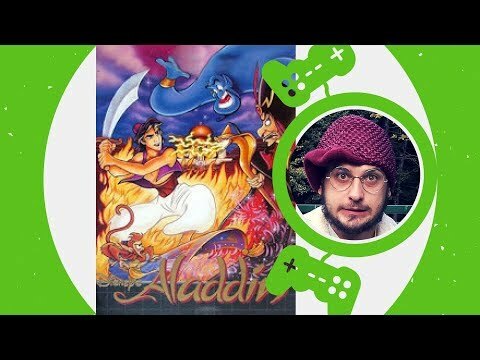 While each game is different in their own way, many prefer Virgin's take on Aladdin as it was the third best selling game on the Sega Genesis though the SNES version is also held in high regards and was Capcom's second best selling title on the SNES behind Street Fighter II.